Bag filtration is vital to most major industries where people depend and lean on filtration more than ever before. In a modern era that functions on the safety and reliability of products such as gas and oil, water, food and beverage, pharmaceuticals, and plastics, bag filtration has become more and more necessary as products are produced on a much larger scale. 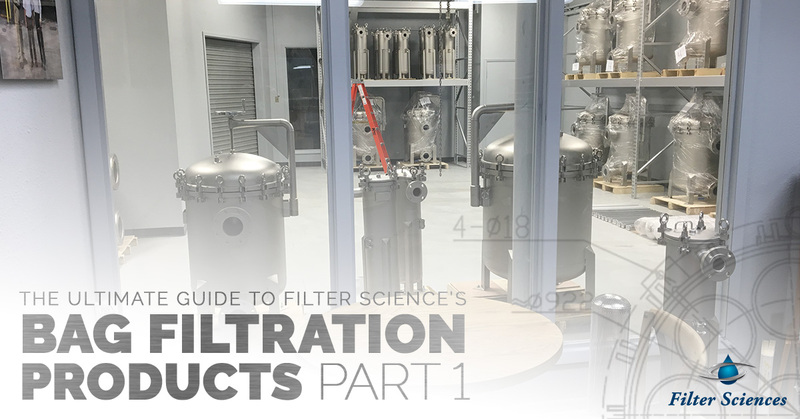 At Filter Sciences, we produce the leading bag filter housings and filter media to both serve our clients in the filtration industry, and in the larger picture, the people who benefit from safer products free from harmful debris and particulates. It is our mission and obligation to manufacture exclusive industrial bag filter housings products. Multi-bag filter housings for all of your high-flow requirements! With our standard in stock units, we can handle flows up to 3,000 GPM and if that’s not big enough we can custom engineer a housing up to 24 bags to meet your needs. Each cell of our Multi-bag housings is capable of up to a 250 GPM flow. Our standard in stock Multi-bag housings range from two to 12 cell, but can custom create housings up to 24 cells. Twin or multiple units can be flanged together to run in parallel or alternate for a continuous source of filtered fluid with no backwash. How do bag filtration housings operate? The purpose of bag filtration and their prospective filter media is to remove suspended debris and particulates from various substances such as water, oil and gas, and plastics. 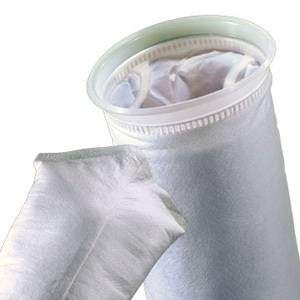 The filter bag bags used will vary on the industry-specific use and how they are needed. Why use stainless steel bag filtration housings? Our stainless steel filter bag housings were deliberately chosen because of their high durability, among many other features and benefits. Not only do our bag filtration housings combat against premature corrosion, they simply last longer. With extended longevity, there is less maintenance and repairs, which is a cost-effective and eco-friendly investment. Why choose bag filtration for your industrial application? There are two types of industrial filtration — bag and cartridge — that industries must choose between when it comes to filtering industrial grade liquids such as oil and gas, pharmaceuticals, and plastics. In the end, companies have to factor in the performance demands of their industry while staying mindful of projected overhead costs. Bag filtration is the leading choice in most industrial applications because not only do you get a wide range of removable filter media but a stainless steel bag filter housing that is an affordable option to help keep costs low. Bag filter housings are an excellent option for industries who run small-batch processes in which a self-cleaning system is not an option or is too much of an expense. In addition, because we produce reusable filter media and the overall design of our bag filtration mechanisms reduce the need for a high bag replacement, thus lowering your disposal costs. Filter Sciences is the company you want to partner with when it comes to industrial filtration. We’ve crafted bag filter housings that can support both small and large flow capacities alike. We’ve covered a good amount of information on filter bag housings — what they are, why stainless steel bag housings are optimal, and bag filtration over cartridge. This is only the beginning of this conversation and we’ll cover much more about our filters and filter media in this series, so stay tuned! If you’re in industrial filtration and want to learn more about our bag filtration housings and how they’ll impact your business, connect with us today!